When I fell for this drama I fell hard. It did not hit me immediately- no it was more of a third or fourth episode kind of love. The kind of love that makes you giggle, fist pump, and eagerly await the next episode simultaneously. 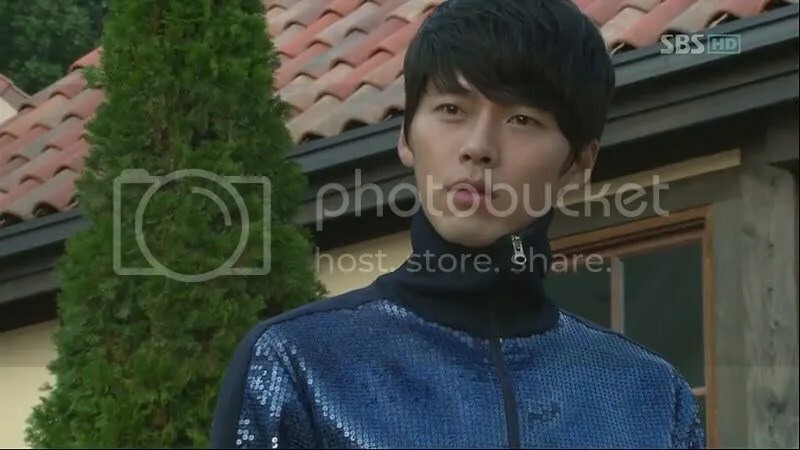 While I cannot claim this is my favorite Hyun Bin drama (Sam Soon will forever be #1 in my heart of hearts) or my favorite Ha Ji Won drama (Thanks King 2 Hearts- love you) I swear I will never make fun of sparkly track suits again. You will most likely end up having your soul jump ship if you do. Now do not get me wrong- if you are a lonely person or want to marry a department store president then you really should drink the kool-aid. 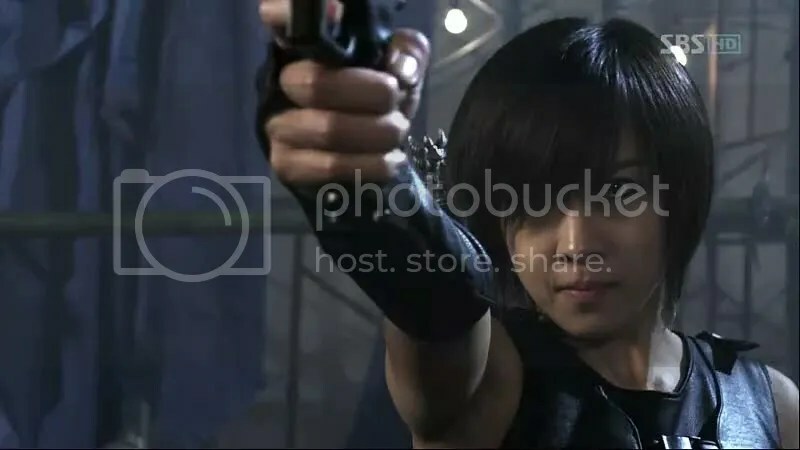 Body swapping can be profitable in some situations, however in most cases it is just completely awkward and a complete let down. Life lesson: Sometimes you need to switch physical bodies in order for dating to become possible. If a simple “Do you want to see a movie or get dinner sometime?” is not feasible then get lost in the woods. A body swap could be the ticket to your everlasting happiness. 2. Being a stunt person is hard work. While the lead actors and actresses are coddled and fussed over stunt people will end up with bruises, cuts, and broken bones. To top it all of no one will see a stunt person as a real actor. What a hard job! Life lesson: Always treat your stunt person well. They take the blows so your beautiful body stays intact. 3. Persistence is the key. So they do not love you back? Too bad…I guess. Why don’t you keep it up with them until they relent and give into the passion you feel? Life lesson: Patience must be more inherent in Korea. Not so much in the United States- I can barely hope that my husband can wait for my ten minute drive from work before he is dragging me out again. 4. Mama tried. Mama failed. Just give up already! As in a majority of Korean dramas Mama just cannot let go. After all she only birthed her children in order to create new mergers and acquisitions. Why are children so unfeeling and uncaring? Childbirth hurts! Life lesson: M&A are very important, but so is love. Maybe Mama tried is good, but Mama not accepting is not the end of it. After all- you could become the ideal reproductive model of your country with her approval or not. *Fan girl note~ Is it bad that I found her to be mild in the evil mother department? She was a cruel witch but she was no Momma Kang. It is impressive, no? Well-No. But it is endearing as hell. In fact, it is so comical that I cannot help but laugh while writing this. Blue sequins never meant so much. Life lesson: If he thinks his ugly clothes are fashionable and he reads fairy tales, let him be. He most likely has a heart of gold and he would probably ride into a thunderstorm in order to switch incurable conditions with you.